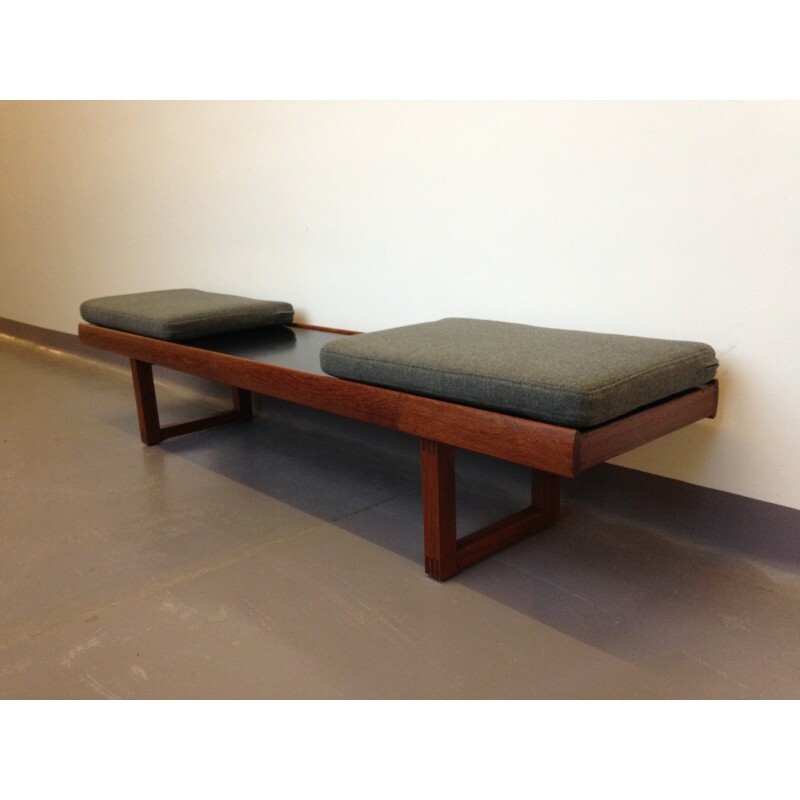 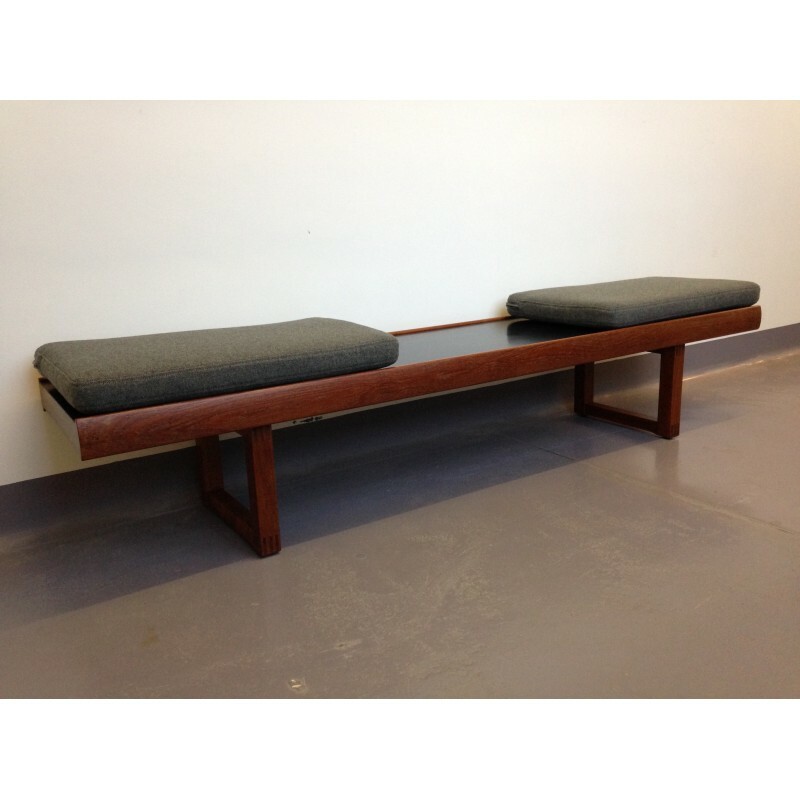 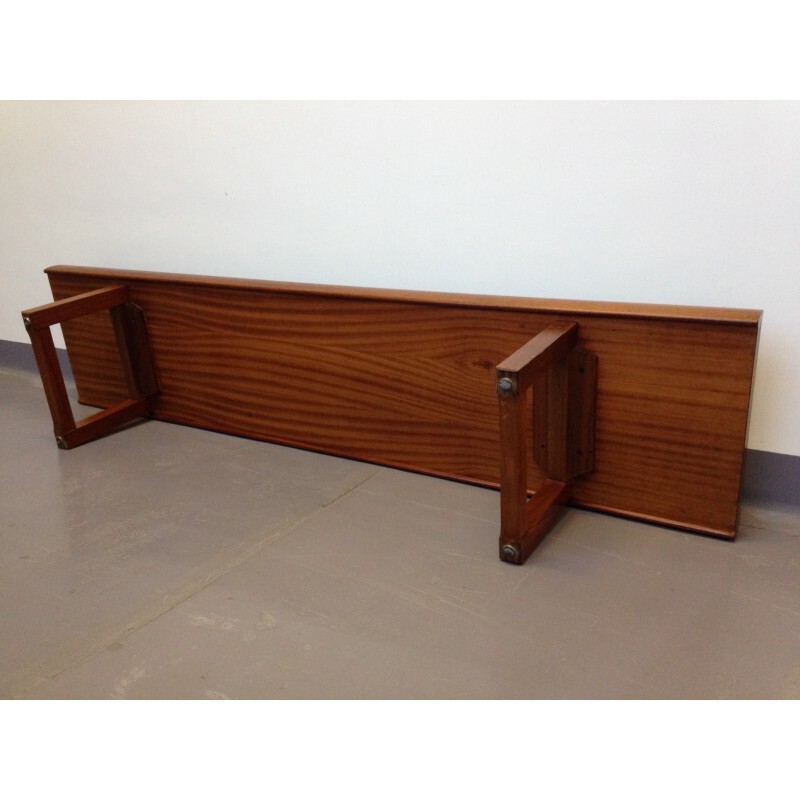 An outstanding quality and hugely impressive 6 ft bench by Dalescraft, circa 1960's. 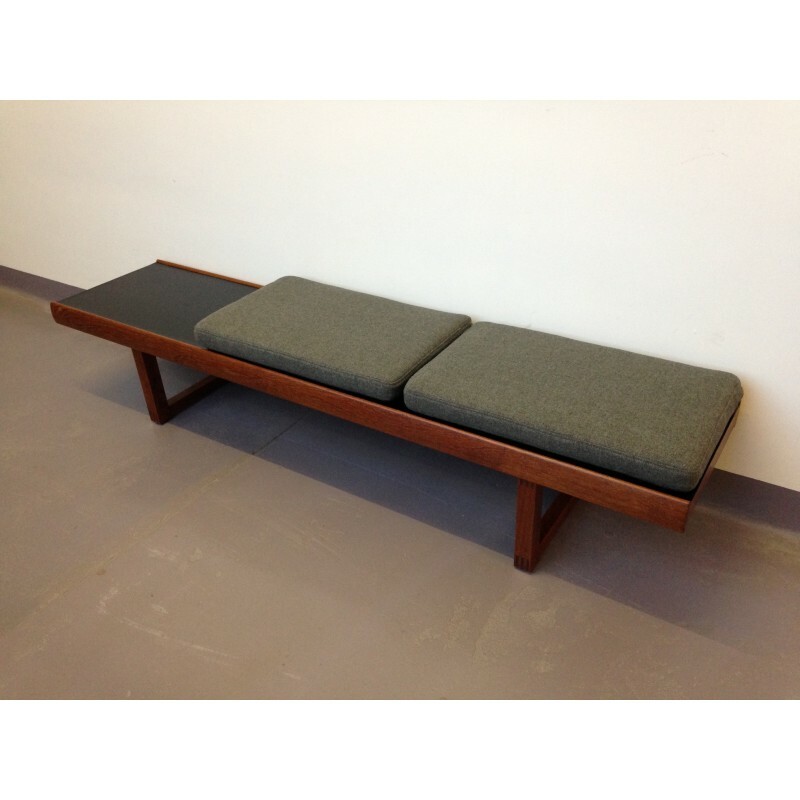 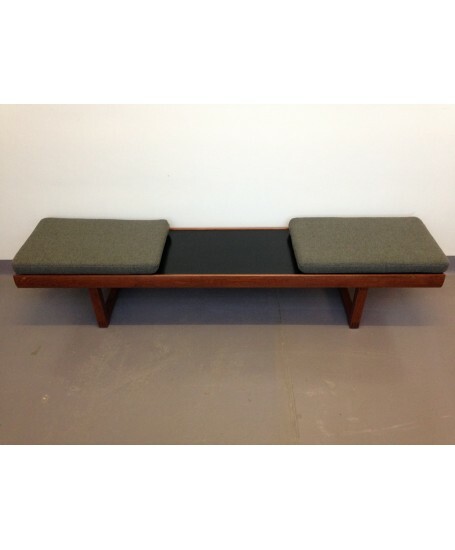 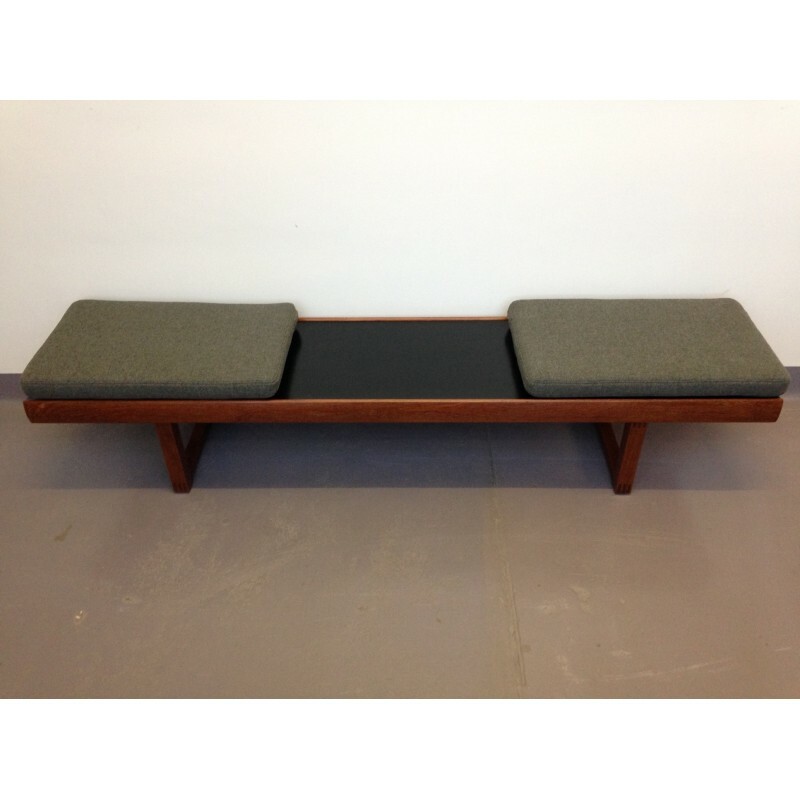 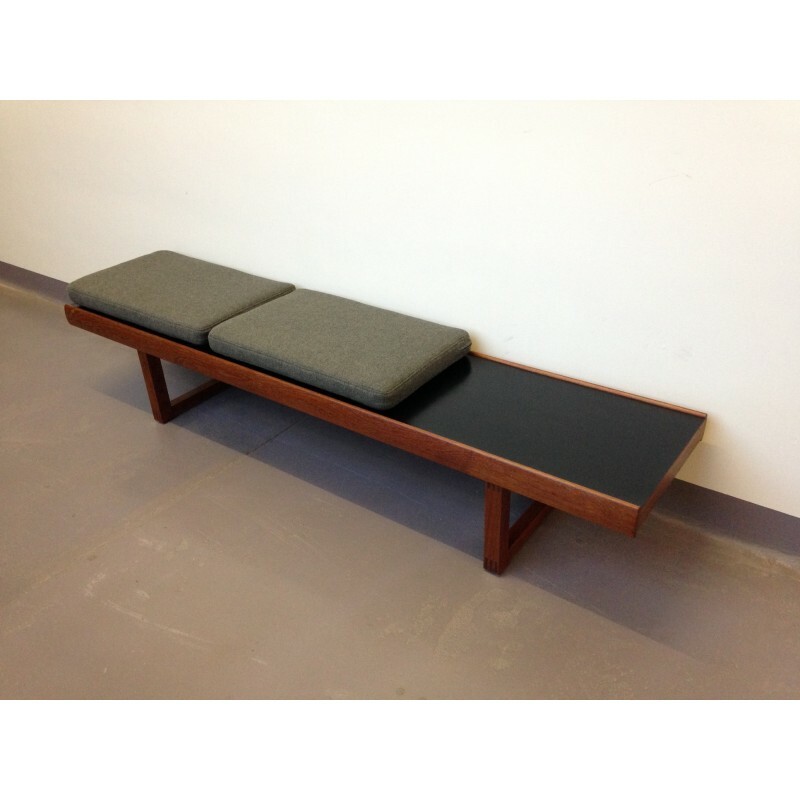 The design has similarities to the Krobo bench by Torbjorn Afdal for Bruksbo of Norway. 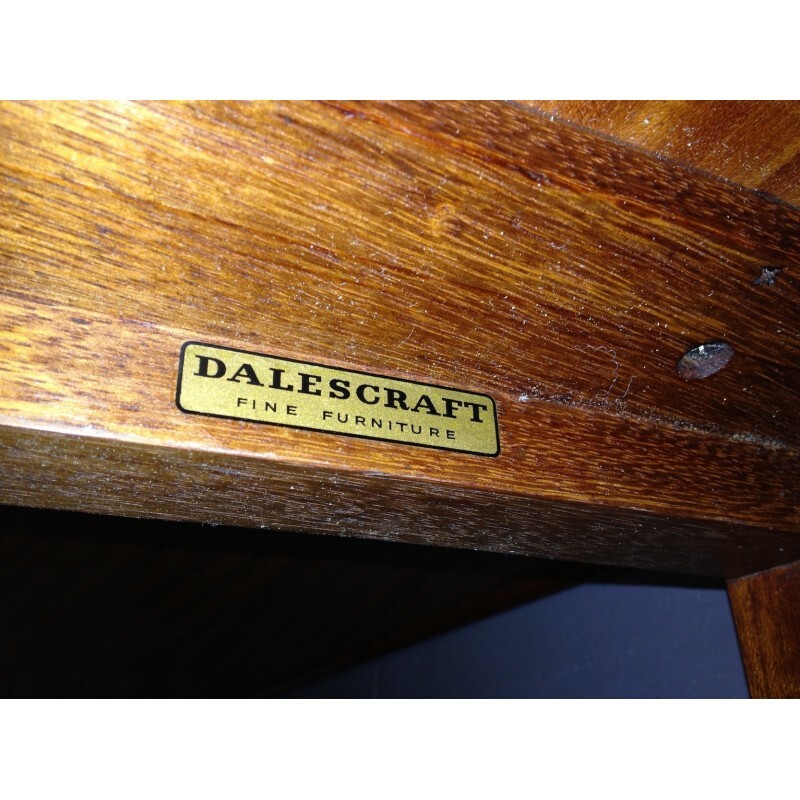 Dalescraft benches are very rare, and we are unable to find a single other example with a laminated black top as this model has, which is a particularly nice design feature. 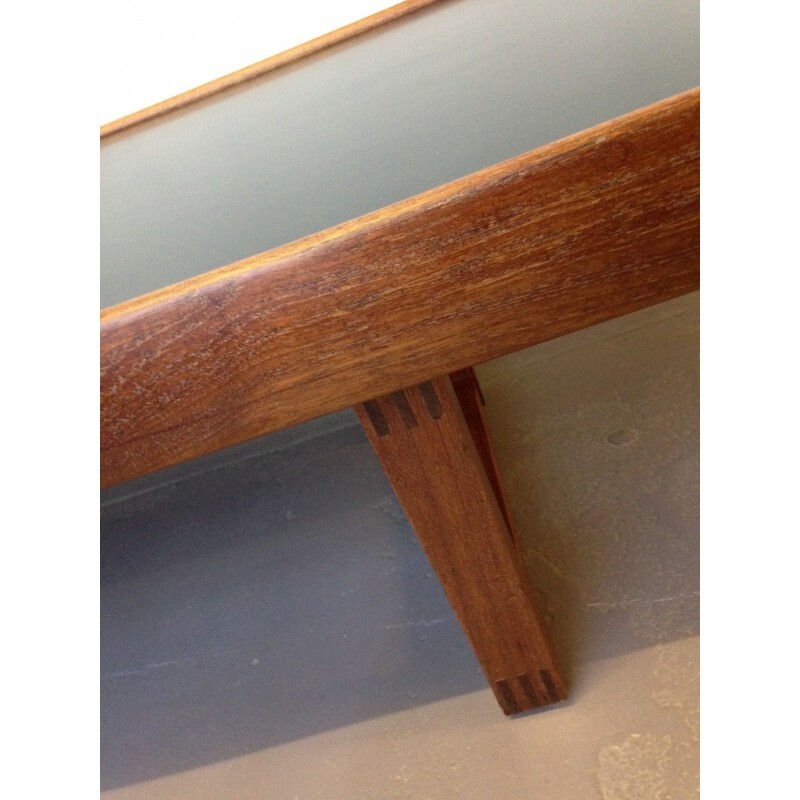 The teak is stunning and boasts lovely grains. 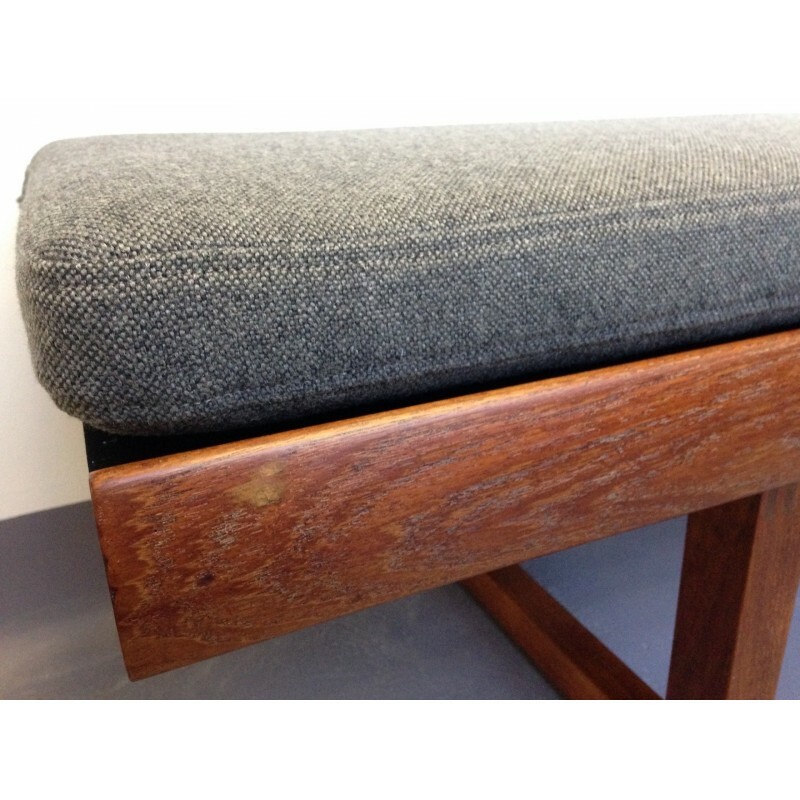 The bench is in excellent condition. 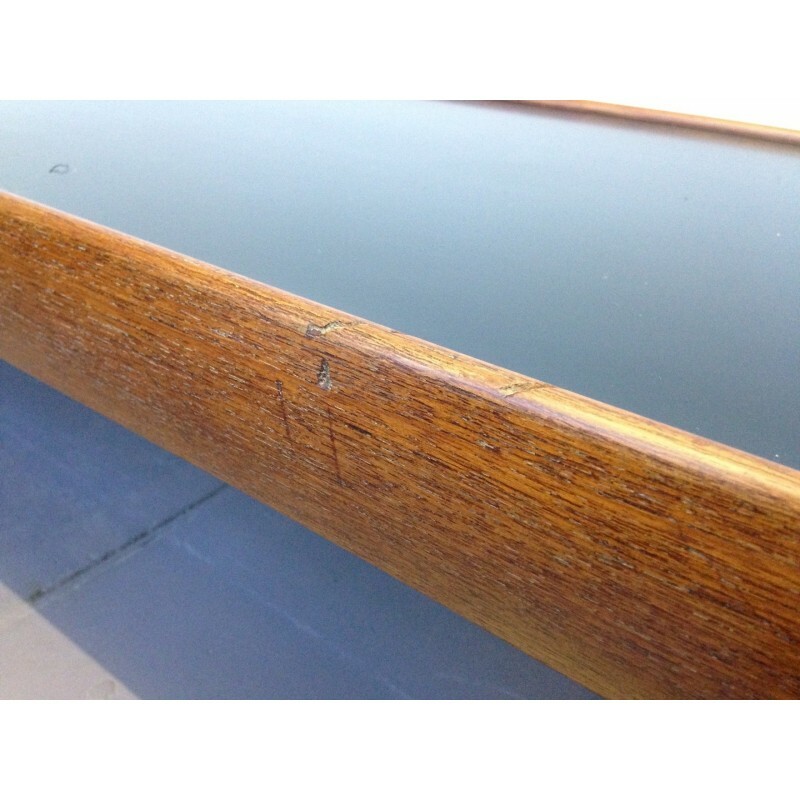 As shown in the final photo, there is a small area on one side of the bench with a couple of minor chips and scratches (this side can be positioned against the wall so it won't be visible anyway), but this is only visible upon close inspection and is mentioned for absolute accuracy only. 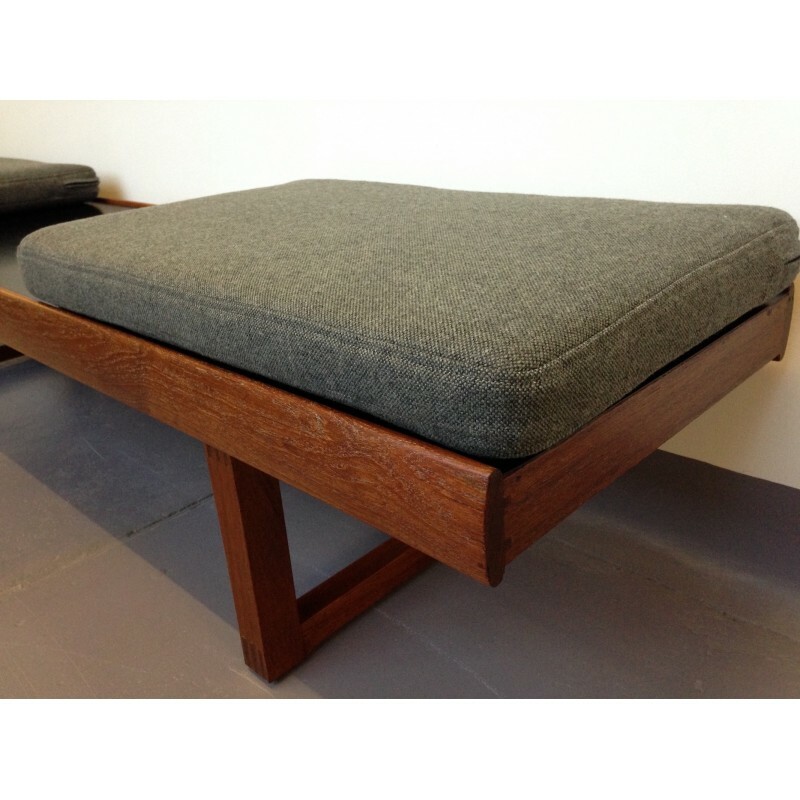 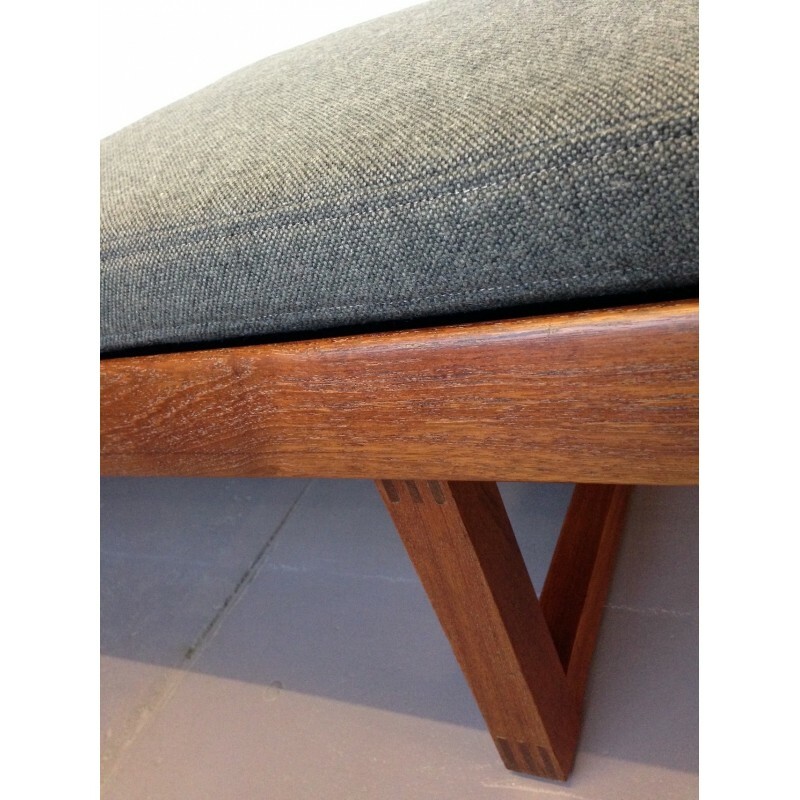 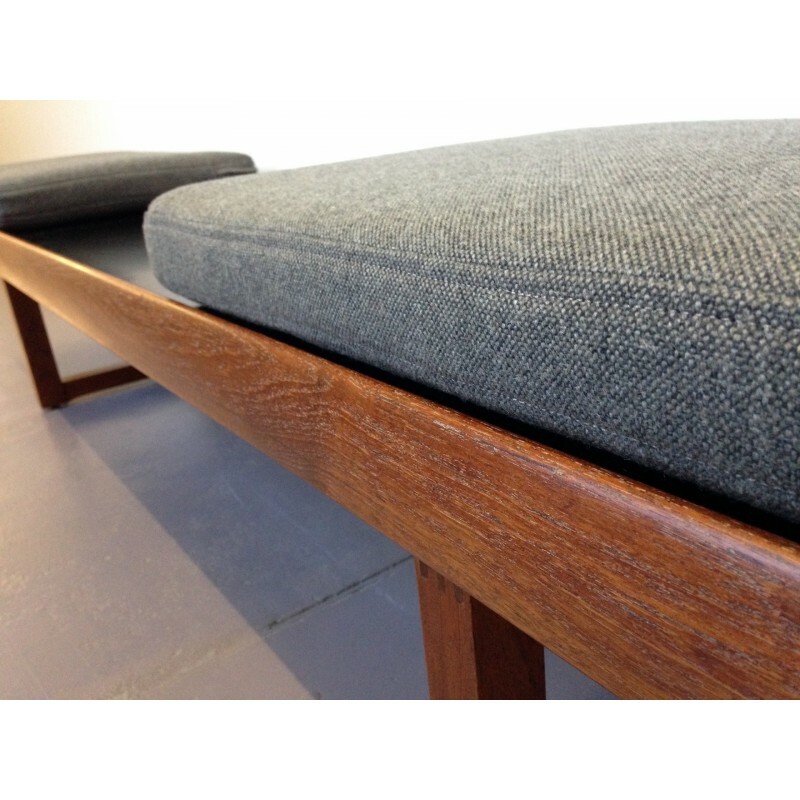 We have made two new seat cushions using high quality foam and a grey wool from Svensson's 'Step' collection. 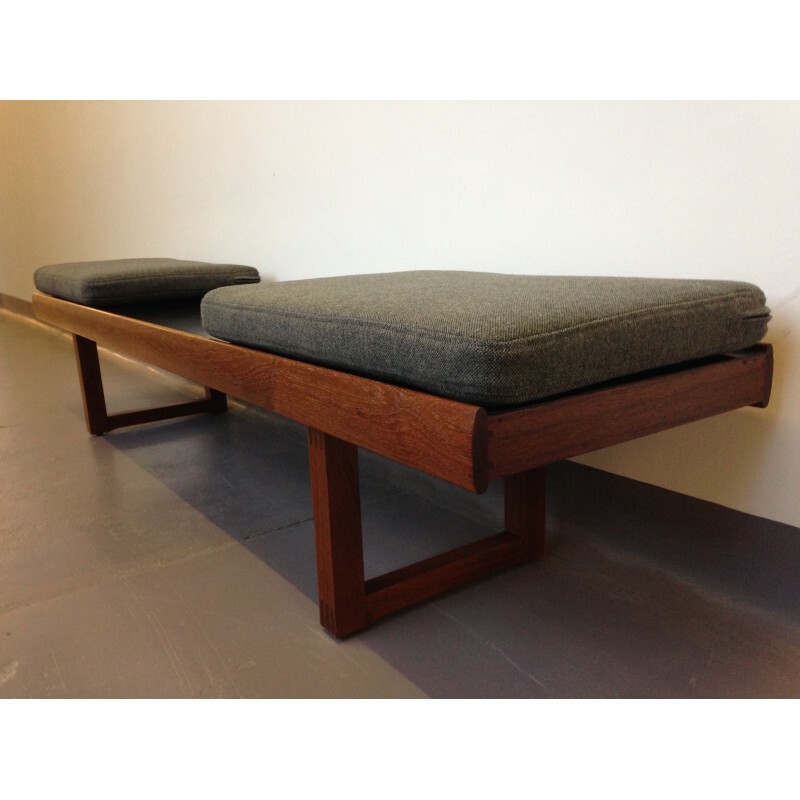 Please do take note of the measurements below. 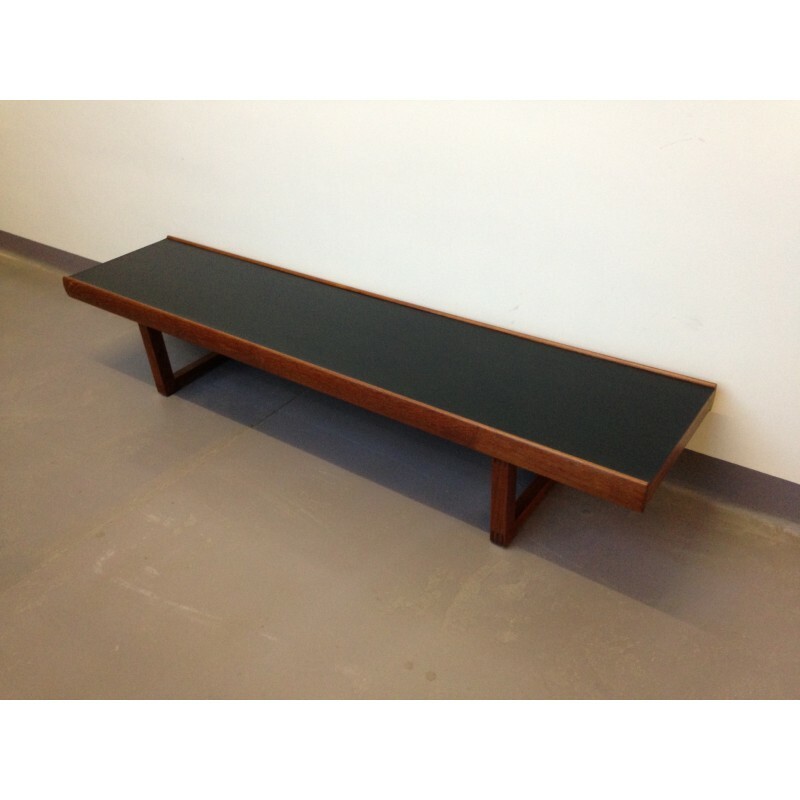 This is an exceptionally large and heavy piece.